This sixth issue of the External Bulletin contains articles from the last months, and they are again made by the excellent compilation of the IS of ZSP. insecure jobs. The permanent jobs are made temporary ones, and the permanent ones are less protected. 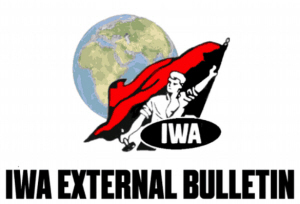 The only true “job-security” we can rely on as workers comes from ourselves, and the solidarity and actions we are able to make, and also this bulletin contains articles of mobilizations, solidarity actions and campaigns!